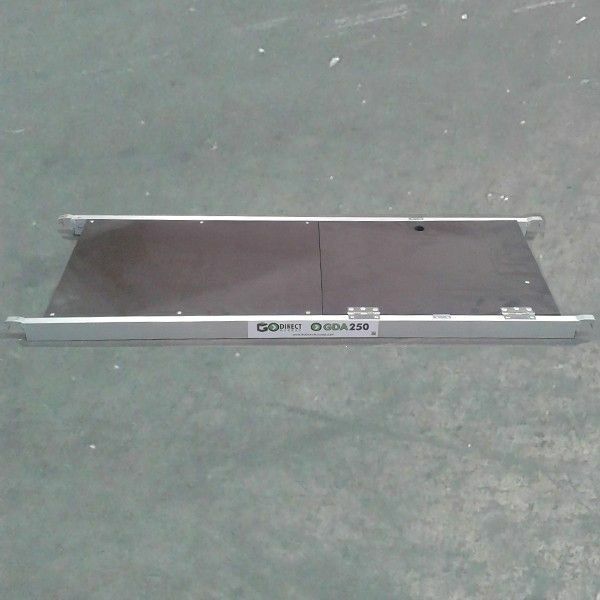 GDA250 Trapdoor Platforms can be used as extra or replacement platforms for your GDA250 Aluminium Scaffolding Tower. If you would like extra or replacement Trapdoor Platforms for your GDA250 Mobile Aluminium Scaffolding Tower please order now. Alternatively, if you are looking to extend your tower please contact us and we can give you a price for an extension pack.